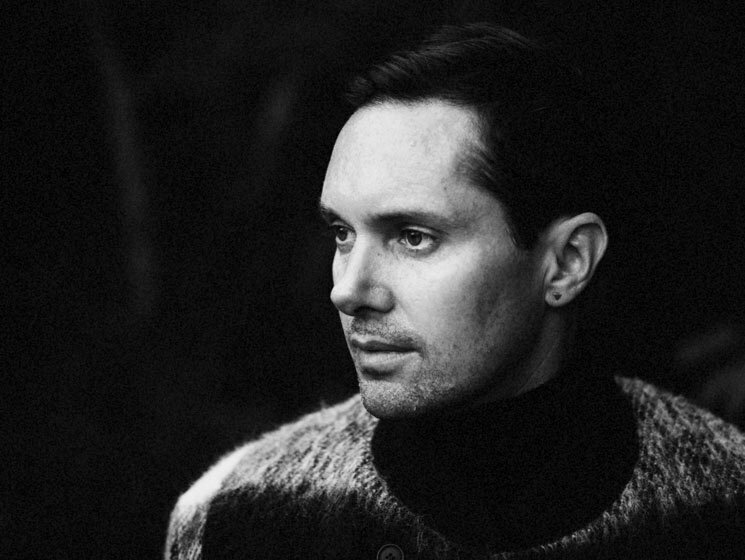 With the impending release of Rhye's sophomore album Blood, Mike Milosh is stepping out of the shadows. The Toronto-raised and Los Angeles-based artist has had an air of mystery around his identity and musical intent; it's been nearly five years since the breakout 2013 album Woman, and with Blood, he's ready to reveal a bit more of himself. While originally billed as himself and Danish producer and instrumentalist Robin Hannibal, Rhye is entirely a Milosh vehicle at this point. Created to sound like a "live experience," he recorded about 25 songs for the 11-track Blood, which was recorded in San Francisco, Los Angeles and Montreal. 1. While billed as Mike Milosh and Robin Hannibal, Rhye never really functioned as a duo, at least in the traditional sense. "Robin Hannibal and I never really were a duo. I just let people kind of run with that. [Hannibal] made that first record with me. But he actually signed an exclusive deal with [another label] — he wasn't really allowed to even continue working with Rhye. And he's not a live musician, so he was never part of the live show. I originally thought that Rhye was only going to play about ten to 15 shows, but we ended up playing like 450. "So the project of just kind of took another turn and became this live act. He's got his own stuff — he's a really busy guy — and I think what happens is once a thing takes its own shape, it's gone its own direction." 2. The initial media speculation over who and what Rhye is wasn't intentional. "There are a couple of factors in that. I remember one time I was stupidly reading internet comments, and people were commenting on the album cover for [2006 solo record] Meme. Someone posted that they loved my music, but hated my nose. And it really bothered me, like why does someone care about my nose? "So it kind of made me feel insecure. I think. At the same time, I married this girl named Alexa, whom I've since broken up with, but she had a lot of problems with celebrity where she couldn't go to an airport without someone asking for autographs. I just started thinking that I don't really want to be so that people recognize. I just want to make music and the cult of celebrity thing wasn't important to me. We were signing with a major for the first time, and they are going on about the potential PR campaign and how big it was going to be. I realized that it maybe wasn't what I wanted. I didn't want to get wrapped up in that beast, it kind of scared me, to be honest. I just didn't want to be in all these photos. It wasn't intentional like it was a master plan. "There were moments where people were wondering if it was a gimmick. It wasn't, it was just a combination of being insecure and also not caring. I didn't worry about what the media was saying about me. Let them write what they want to write. If they come to a show they can see that I'm a dude. There was this speculation that I was a woman, which I didn't understand. I didn't feel like I needed to answer to it at the time. I knew that people were going to see me anyways, because I tour a lot. It was actually more coming from an insecure place of like I don't want to be [in a] bright spotlight, to the point where the first whole year of shows I was not even allowing the front light on stage." 3. He is classically trained and knew he wanted to have career in music from a young age. "I started playing cello when I was three. My dad is a violinist. He got me into it at a very young age. I took to it really fast and my father noticed that. I started playing with my dad's quartet. I ended up playing at the Royal Conservatory really young. I then went to an art school, where I also played music, but I was there as a visual arts major. Music was my life. "And then about 16 I had this moment of just being disinterested with classical music for a while. I started a band, and started playing drums, and we are doing stuff like battle of the bands at high school. It was really 16-year-old stuff, but was really informative and it was when I decided that I wanted to play music forever. "My first Milosh record, all I cared about was having fun with synthesizers. I put together an 18- or 20-song demo together and sent it to a label. It was then I started singing and writing, putting vocals with electronics. It was an interesting time, because iTunes wasn't there yet, and you know it was just a weird moment to kind of come out with a record. I felt very privileged or honoured that I wasn't even able to get a record. And that's when I was like, 'Wow, there's this whole lifestyle you can have. I'm not tied to one country so why not just go live in places I want to see and experience the culture that you want to see.'" 4. While touted for its R&B and soul elements, Milosh doesn't define Rhye as any genre. "I don't have any weird negative biases against any genre. I see value in them all. I do love a lot of electronic artists, particularly the old Warp artists like Aphex Twin, Squarepusher and Autechre. I really embrace that. But I also used to play a lot of jazz, blues and I did a lot of live shows with the original members of the Platters as a drummer and singing backup vocals. And classical music has always been in my blood. But it's all music — you can borrow from every single methodology and put it all into one thing." Blood comes out February 2 on Last Gang.